The Mountain Land Physical Therapy Caldwell clinic, located inside Crunch Fitness, has access to an extensive range of gym equipment to assist in your treatment. We also utilize the pool on site to provide aquatic therapy services. Our physical therapists in Caldwell, Idaho are here to help you on your road to recovery. If you’re looking for a great physical therapist in Caldwell, Idaho, look no further. Give us a call or email us to setup an appointment or to schedule a consultation. I can’t recommend Mountain Land Therapy highly enough. Keep up the excellent work! I have encouraged others to receive their therapy from Mountain Land. Both Kyle and Jeff are terrific. Jeff and Kyle at the Caldwell location at the Idaho Athletic Club site are awesome. I am a retired ER nurse and have a great respect for both of them as health care professionals. I really liked how they made you feel at home even though you were in pain. They were always friendly and kind. My husband and I have both seen Jeff Thomason over the past year and trust him immensely. … I am grateful that we found Jeff and will go to him for any physical therapy we need. Jeff and his team are wonderful. If I need PT again I will be going here for treatment. This is the best place for physical therapy I wouldn’t go anywhere else ever! You have the best receptionist and the best therapists. I have been coming to Jeff for over 7 years. I wouldn’t go to anyone else. I had a great experience, doing my therapy. I had not imagined that i would want to return each time. Thank you for the help and encouragement you gave me! Kyle Hadley was able to work through them with me and come up with a therapy that was very successful. Kyle also gave some helpful suggestions to avoid situations that would cause future injury. 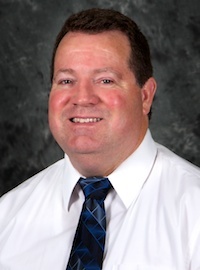 Jeffery has been with Mountain Land since he received his Bachelors of Physical Therapy from Daemen College of Amherst, New York in 1994. With extensive outpatient expertise, Jeffery’s practice includes spine rehabilitation, neurological, orthopedic, geriatric and pediatric therapy. Jeffery has a tremendous interest in sports medicine and work related injuries. He has also been certified in administering functional capacity evaluations for return to work cases. 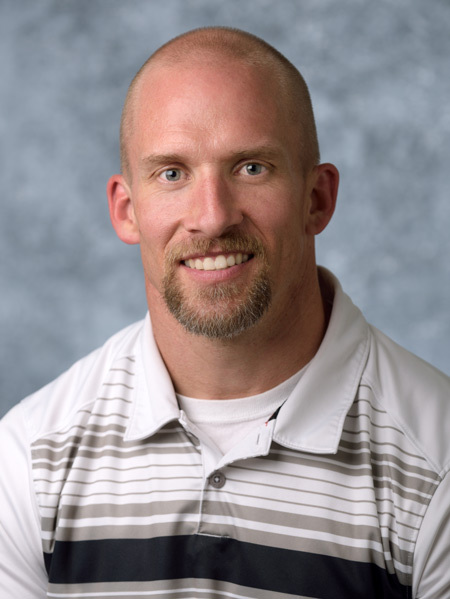 In 2012, Jeffery achieved board certification as an Orthopedic Certified Specialist through the American Physical Therapy Association. Brandon graduated from Washington State University in 1998 with his Bachelor’s Degree in Kinesiology. He received his AAS to become a Physical Therapist Assistant from The College of Western Idaho in 2015. Brandon is also a Certified Strength and Conditioning Specialist. Being a Physical Therapist Assistant allows Brandon to enjoy a career that incorporates his knowledge of the body while helping people get back to living a healthy and active lifestyle. Brandon works with his patients to develop a unique and specialized therapy plan that helps them achieve their goals and enjoy a pain-free life. In his spare time, Brandon enjoys spending time with his wife and kids outdoors, fishing, hiking, camping and hunting.